In case you haven't met her or you're still yet to be introduced - SZA is the newest signed artist to Kendrick Lamar's 'TDE' record label, she is unmissable, and she is the first lady! 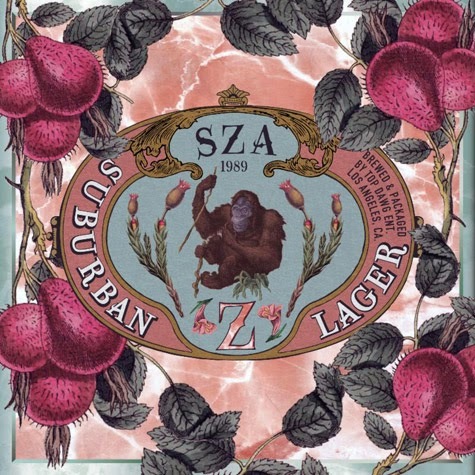 SZA who unlike the rest in the group is not a rapper, but a singer has a very sensual and soothing voice to the ears is set to release her debut album ‘Z’ - on April 8. Unveiling ‘Childs Play’ produced by XXYYXX, she features Chance the Rapper on the song and the pair surely do make sweet music together, as SZA takes control of the song before Chance the Rapper comes in with a rap-singing verse and they marinate their way to the end of the song together. ‘Childs Play’ is convinced to have your finger on the repeat button. Increase your volume, kick back and prepare to be wowed by the sweet vocals of SZA on ‘Childs Play’. Look out for her new album ‘Z’ out April 8.